Vickie Robert Foundation UK and Nigeria, a Non-Governmental organization, is celebrating a unique teacher, Simi Agoro Atagsi, today Friday October 5, 2018 being the World's International Teachers day. The day which has the theme: "The right to education means the right to a qualified teacher" is a special one as Vickie Robert Foundation Uk & NGR are celebrating to highlight the role of a teacher in the development of a student and as well as the society. 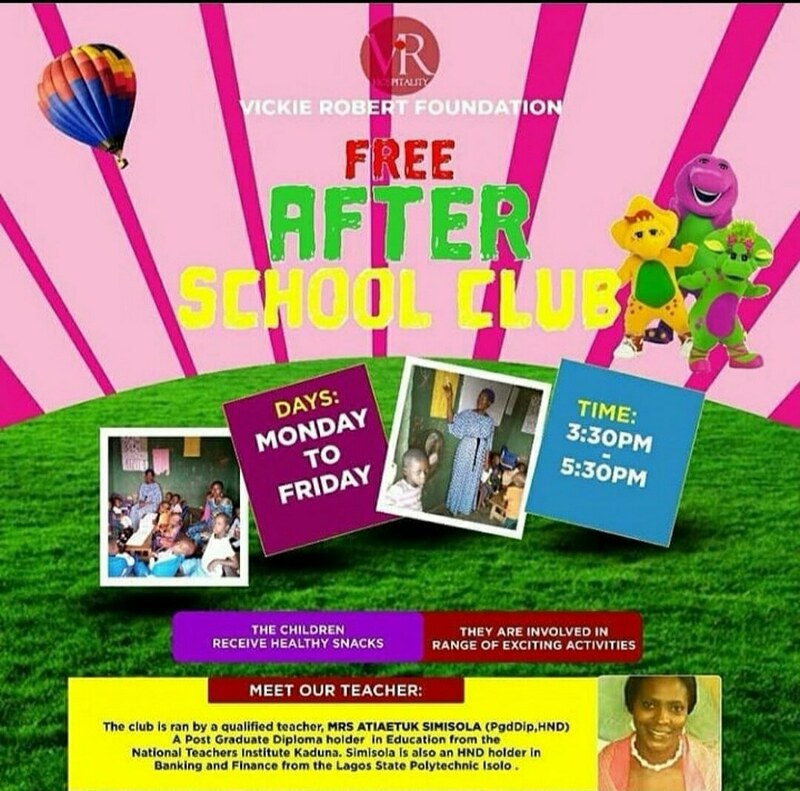 According to the founder, Vickie Robert Okere; "We want to use today to say THANK YOU to our 'After School Club Teacher' @simiagoroatagsi who volunteers to teach disadvantaged children in the Ayobo area of Lagos State, for FREE!" #The right to a qualified teacher. VRF has been in the forefront in catering fro vulnerable children and adolescents who cannot provide for themselves through the help of donors around the world.